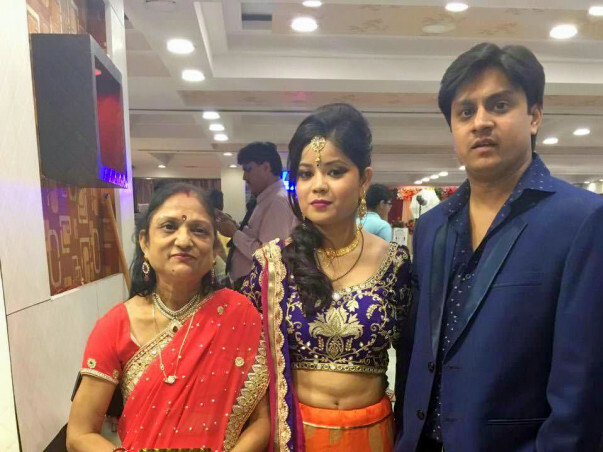 One of our colleagues, Neha Goel, is faced with a medical emergency in her family. 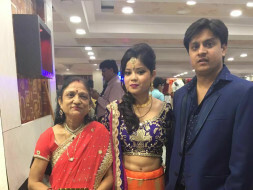 Her brother, Ankit Goel, had an accident and is currently hospitalized, undergoing treatment at VIMHANS Hospital, Lajpat Nagar, Delhi. His medical condition is very critical and he is currently on the ventilator. Neha needs our best wishes and support during this hour, especially considering her brother’s critical medical condition and the costly treatment procedure. Your generous and benevolent help would go a long way in supporting Neha during this medical emergency and financial distress. We intend to hand over the collected amount to her family. Any financial support that you are able to support with. Any help at this hour, big or small, would be highly appreciated. 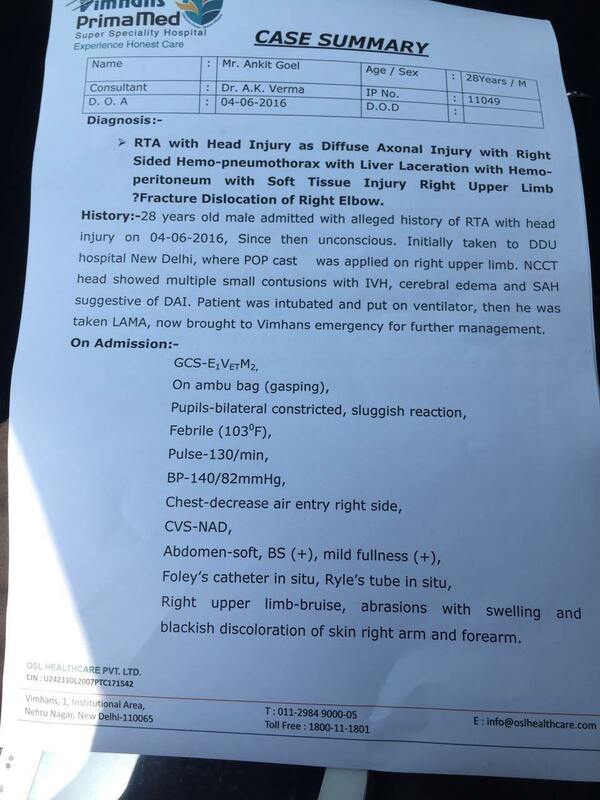 Ankit is currently admitted and undergoing treatment at Apollo Hospital, Sarita Vihar, Delhi. He is still unconscious. What is troubling the family is the fact that they have to pay approx. Rs.80000 daily for the medical bills. Lets hope and pray for Ankit's successful recovery. Grateful for all your support. Ankit is out of ventilator now and showing improvement. Thanks for the support!